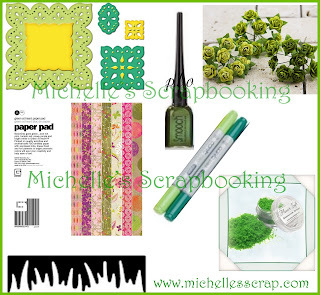 Michelle's Crafts, Coupons and More: I have been promising some Blog Candy! Can you Say Green?!?!? I have been promising some Blog Candy! Can you Say Green?!?!? Well I have been promising some blog candy so in honor of St. Patrick's Day here is some GREEN candy. Alls you have to do is leave a comment with a link to your blog. Also sign up to follow my blog if you are not already following it, and post this blog candy pictured below on your own blog with a link back to this post. Winner will be chose March 18th! Now who wouldn't want to win this great candy? Yes, I take a chance to win this nice blogcandy, love green. Wow what a great CANDY to win!! I put it on my blog and thank you for this chance to win... GREAT!! oh my Michelle! What a fab candy! What a nice candy. Thank you for being so generous. Hopping to be the lucky one. This candy look yummy. I am already a follower and have put a link on my sidebar. Your candy just awesome! Thanks and thanks for the chance to win! Linked candy on my sidebar and I'm your follower. What a nice prize to give out before St. Patrick's! Thanks, I just linked on my blog! Hope I win! ooohhh, LOVELY stuff, Michelle! lots of fun new releases! i love visiting your blog to see what's new and exciting, and how you're using all these gorgeous new stamps! FABULOUS! Lovely candy. Thank you for this chance. Am a follower already and posted the candy on my sidebar. thanks for the chance of some green candy! Awesome candy!Link in my sidebar i am follower. Lovely candy! Thank you for your kindness and the chance to win. I am a follower and have added your candy to the sidebar of my blog. Wonderful blog candy! I've been a follower for quite a while, here's a link to my blog with the link to yours - LOL!!! Awesome candy!!!!! I will be happy to win it. Thank you for that chance. I am a new follower now. Nice candy Michelle! Thank you for the chance to win, I'm a follower and I linked the candy on my sidebar. Wow! What an awesome candy! Thanks for a chance to win it. I follow your blog through my Google Reader - does it show up in the followers list at all? AWWW, nice candy!! You know I am already a follower and I placed a link in my sidebar. SMILES!!! What a great idea for a blog candy theme - I'll be GREEN with envy of whoever wins! am going to add myself as a follower and create that sidebar link right now. Great Blog Candy Michelle!!! I love checking out your blog! Its so inspiring! Keep up the great work! I linked ya to my blog too! Have a great day! I am a follower and put your candy in my side bar! Thanks for the chance to win! Great blog and a great candy.Of course I would love to join! I made a link to you on my blog! WOW! A super candy you offer here Michelle! I don't know if I can join in, but I have made a link in my blog. Wow lovely candy, thank you for the chance. Hi! Thanks for a chance to win. I am a follower and have posted a link to this candy on my blog. Wow this candy looks so yummy thank you for the chance to win it :D I have signed up as a follower and now am of to put a link in my side bar. gorgeous greens..such a fantastic candy Michelle thanks for the chance..i am a follower and have added your candy to my blog sidebar.. Awesome candy...linked you up and am a follower. I'd love some green!!! Awesome blog candy! What lovely candy Michelle. And I can vouch for the customer service over at her store. Go check her out yall awesome awesome store. Good luck to all who enter. I'm eyeing the copics. I do not trust my eyes nearly. That is an absolutely great Candy. A dream it would be to be won. Your blog pleases me very well and I looks often times here past. From now on i'm a Follower too. Thanks for your chance on this brilliante Candy. oooo, great blog candy! thanks for the chance to win! will link you to my blog..
WOW! What a gorgeous blog candy. Thanks for the chance to win your sweet candy. I'm already a follower and I added your candy in my side bar. lovley blog candy. I'm now a follower an postet your blog candy on my blog site. Wish you a lot of creativity! Hi Michelle - thanks so much for a chance at this great candy! Erin Go Brach! You can find a link on my Blog Candy Roll, here! I love your themed blog candy concept, and I am delighted to discover your blog! I am now following and have added you to my sidebar at Create With Joy. Please visit when you have a moment - perhaps you'll find we are Kindred Spirits! I'm now a follower and I linked to your green goodies in my sidebar. I have my fingers crossed!! Hope I win this fabulous candy !! Wonderful GREEN candy! Love it! Thanks for the chance to win! I am a follower and have posted your candy on my sidebar. Michelle you have a wonderful blog! I'm going to look around some more!!! :) Thanks so much for the chance to win such lovely goodies! I've posted a link in my sidebar to your great candy! Thanks again! What an original blogcandy! Would love to win! Thanks for the chance! In my sidebar now and following. Thanks for the chance to win!!! Linked it on sidebar!!!! Great blogcandy! Thanks for the chance to win. I've put you in my sidebar. 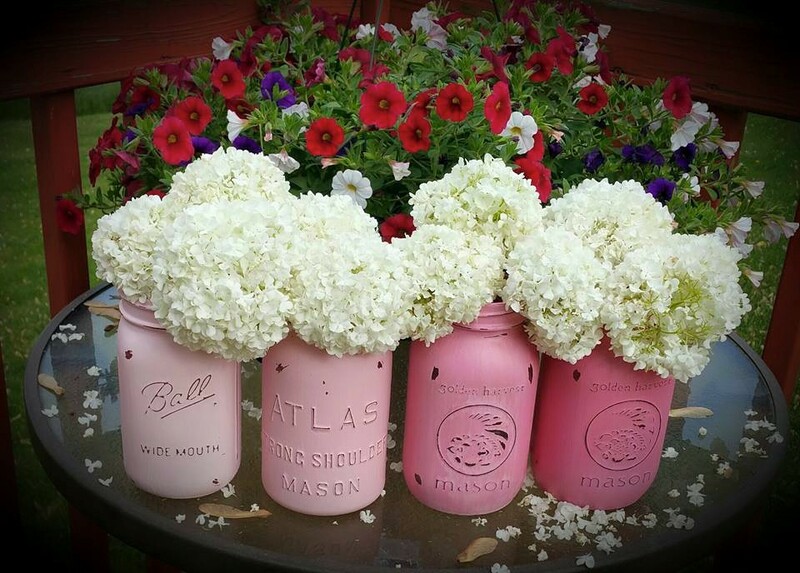 Thanks for the awesome blog candy Michelle! I have posted a link on my blog and became a follower. What a nice blogcandy. I like the color. I would love to win a candy. In my sidebar I put the picture. Fabulous candy Michelle. I am a follower and I will link you on my sidebar. Thank you for the chance to win. I also have blog candy Here if you are interested. GREEN :) What a great candy! Really love to win this one ;) Thank you so much for hosting! Hello! What's a candy! I've made a post about it in my blog: http://scrapmooooon.blogspot.com/2010/02/michelle-18.html. THanks for the chance to win, you are linked on my blog! Thanks for the chance to win Michelle, I've added your candy to my sidebar. Hugs from Cavan, Ireland! OOOOOOOOOOOOO Michelle! This is such a wonderful stash of candy! I love those colors and the supplies are just FAB! This is a super generous offering! Thank you for the op to hop aboard and enter to win! I am follow'n and would love for you to hop on over and follow along with me too! Looking forward to seeing more of your gorgeous art works in the future! Your pic in linked. Green has always been my favourite colour! Thanks for giving us the chance to win all these gooddies! Wow! It's a great candy! Thanks for the chance to win it!!! What a wonderful candy you have offering. March 14th is my son's birthday so even a better time too! I have posted on my blog at http://mamascroppingcollections.blogspot.com/ on the sidebar where I list candy! Again thanks for the change I am green with envy for whomever wins! What great candy! Perfect for St. Patties Day! Thanks for the chance to win it! Wow, awesome candy. You are so generous. Thanks for the chance to win so much fun stuff! Hi Michelle. So glad I stumbled on your blog. I posted the candy in my sidebar and I'm a follower. Now I'm off to check through your blog. Keeping my fingers crossed. I'm a follower and linked you in my sidebar HERE! Wonderful Blog Candy. thanks for the chance, and in my favorite color too! I'm a follower and it's now on my blog. thank you for the sweet candy, i love green! I am a follower and I will link you on my sidebar. Green! Now, have to admit that would be a challenge - have only just realised I very rarely use Green! hey ho - thanks for the chance to win! Thank you for the chance to win this fabulous candy. I'm your follower and I've put your candy picture with the link in my sidebar . I for one would love to win this fabulious candy! Excellant idea going with the green theme for St. Patty's Day! I like it! THanks for a chance to win it! I have posted this to my blog as well. Lovely candy Michelle. I will pop you in my sidebar. What for a great candy. Thank you so much for the chance to win this Candy!!! Awesome candy! I am now a follower, and linked to my blog. Come over for a visit! Thanks for a chance to win. WOW!! Awesome candy. Thank you for offering this. I could use EVERYTHING!! I am now a follower and your link is on my blog. O-M-G...thanks for sharing your talent with us and looking forward to learning a lot more. I put it on my side-bar !!! I´m a follower now and I put the Candy on my Sidebar. OO´LA´ LAA ! Candy is HOT !!! GREEN IS MY MIND!!! HAVE A NICE SPRING! i'm a follower and linked your candy to my blog. Awesome "green" blog candy! Thanks for the chance to win. I have signed up to follow your blog, posted a picture to my sidebar with a link. You can go here to see ! Great Green Blog Candy Michelle. Fabulous blog too!!! I've posted a link in my sidebar for you and of course become a follower of your fabby blog. I hope for a starter that I can win a Candy. great candy! Thanks for a chacne to win! Info about it is already on my blog and I'm a follower too :-). Oh, what a nice blog, and for sure what a great candy. I love your blog and would gladly enter for the candy. I have put a link on my blog. And another participant in your blog giveaway! What a fabulous bunch of GREEN blog candy! Love it! I have posted a pic and linked your site on the sidebar of my BRAND NEW blog http://kreativekaleidoscope.blogspot.com. I have also become a follower of your blog! Thanks again for the opportunity to win this yummy candy! What a nice blog (love the tutorial for EZ Mount!!!) I've signed on as a follower. Thanks for the opportunity to win your generous candy...I've linked you to my sidebar. What kind of candy! This green is super nice now that spring is around the corner. Thank you for this Chanse! Lovely green candy! Thanks for the chance to win! I am now a follower, and will post a link on my sidebar for you! Mmmm... It's an amazing candy!!! Thank you for a chance to win. I love this candy! you are on my sidebar and I'm yours follower now. thanks for the chance to win! Thank you for the chance to win! I've posted a link on my blog and become a follower. Thanks for sharing the candy. I look forward to the drawing. Hope I win this fabulous candy !! So , mayby this time. Looking forward to seeing more from you. I haven't started my blog yet, other than basic info, but love yours! I've added your link and hope it works! Hi Michelle!Happy early St. Patrick's Day. Love all the green! Thank you for this chance. Am a follower already and posted the candy on my sidebar. I've added the pic in my sidebar, with a link to your blog. Michelle, thanks for the chance to win this awesome green candy! thanks a lot to give a chance. the blog candy is awsome. i love it. I'm signing up as a follower and posting your link in my sidebar. Thank you for this great chance! Wonderful candy!Thanks for the chance! I've linked it on my sidebar and off to check your blog! Awesome candy! Thanks for the chance to win it! I am already a follower and have put a link on my sidebar. So fun with a green candy - with spring around the corner that's just perfect! :) Thank you for the chance to win! I've linked you in my sidebar. Enjoy your day! Happy weekend! Greetings from Tromsø, in the northern part of Norway! Fabulous candy Michelle and a great blog.I have become a follower ans linked you on my sidebar HERE.Thankyou so much for the chance. Wow. This is beautiful candy. Thanks for the chance to win. Hi Michelle, thanks for the chance to win!! Great candy. Thanks for the chance to win. I have put a link in my blog. Мишель!! Какая красивая зеленая конфетка!!! Мммммммм! Супер)). Спасибо за шанс принять участие в розыгрыше!. Michelle!! What beautiful green candy!!! Mmmmmmmm! Super)). Thank you for chance to take part in playoff!. What a fabulous candy! I like the green. And I see a new BasiGrey...awesome. I have posted you on my blog! Gorgeous candy, thanks for the chance to win!! Have added a link on my sidebar. This is some delicious candy! I'm following and you're linked in my side bar :) Thanks so much!! I’m a follower of your blog!! Your candy is in my sidebar! That is some tasty looking candy! Thanks for the chance to win! I am linking your candy on my sidebar. thanks for the candy, I followed you! Hello! What a great candy! Thanks for the chance to win! Candy on my sidebar under the section "Kolorowe Candy". This is the best blog candy giveaway I have seen in a long time! WoW, Thanks for the opportunity to win this fabulous collection of GREEN! It's GOLD to me. Thanks so much for a chance to win this yummy candy!! My name is Marta and I write from Italy. I would like to join your Blog Candy. I hope to be lucky! Ah, I love green!! :) Possibly my absolute favourite colour! Thanks for the chance to win this amazing candy! I am now a follower and have linked to you from my side bar. Have a nice day! Absolutely fantastic candy, thank you for sharing. I have put your pic on my sidebar. I also have candy on my blog for getting 20,000 hits - hope you can enter! Hi Michelle! What awesome candy-would soooo love to win! Green happens to be favourite colour too:) I already follow you in google reader-hope thats ok-as I can't follow people through the blogger profile for some reason right now. I've added your scrummy yummy candy to my sidebar! Wow, what a great candy! Thanks for the chance to win. WOW!!! This is really some wonderful candy! Thanks for a chance to win! Thank you for the Chance to win this great Candy. I've linked the Candy on my Blog-around-the-Corner .